A court in the US has ruled against the teaching of "intelligent design" alongside Darwin's theory of evolution. A group of parents in the Pennsylvania town of Dover had taken the school board to court for demanding biology classes not teach evolution as fact. The authorities wanted to introduce the idea that Earth's life was too complicated to have evolved on its own. Judge John Jones ruled the school board had violated the constitutional ban on teaching religion in public schools. The 11 parents who brought the case argued that teaching intelligent design (ID) was effectively teaching creationism, which is banned. They complained that ID - which argues life must have been helped to develop by an unseen power - was tantamount to religious education. The separation of church and state is enshrined in the US constitution. 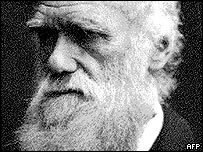 The school board argued they had sought to improve science education by exposing pupils to alternatives to Charles Darwin's theory of evolution. But Judge Jones said he had determined that ID was not science and "cannot uncouple itself from its creationist, and thus religious, antecedents". In a 139-page written ruling, the judge said: "Our conclusion today is that it is unconstitutional to teach ID as an alternative to evolution in a public school science classroom." He accused school board members of disguising their true motives for introducing the ID policy. "We find that the secular purposes claimed by the board amount to a pretext for the board's real purpose, which was to promote religion in the public school classroom," he said. He banned any future implementation of the policy in Dover schools. The case, the first of its kind, sets an important precedent in a country where several states have adopted the teaching of ID, reports the BBC's James Coomerasamy in Washington. Ironically, he adds, it is a somewhat academic ruling in the Dover area since parents there voted last month to replace the school board members who brought in the policy. That move provoked US TV evangelist Pat Robertson to warn the town was invoking the wrath of God. A lawyer for the parents said the ruling was a "real vindication" for those families who challenged the school board.